Demetrice P. Dalton has been a resident of Northern Nevada for over 35 years. She grew up enjoying the clean air and generous amounts of sunshine that only the Silver State can offer. She is a wife, mother, and grandmother. She developed a love for African American and Native American history early on. She has a Fine Arts Degree from the California Academy of Art & Design and is a professional artist, seasonal gallery owner and retired high school art instructor. She often uses subjects from diverse cultures in her art to promote cultural awareness. Demetrice is certified in non-profit management. 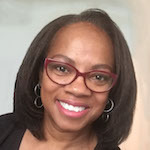 She is the Administrative Manager, Graphic Artist and Website/Social Media Manager at Our Story, Inc., which is a non-profit that gathers and shares the stories and accomplishments of African Americans in Northern Nevada History.